Here’s one from a few years ago. A model named Emma Snowball. Where did you ever find that magazine!? I remember her on Seventeen & Sassy covers when I was growing up. Great paintings. I found the magazine at a summer yard sale in the 1990’s. There was a stack of magazines on a card table, and this one popped out at me. 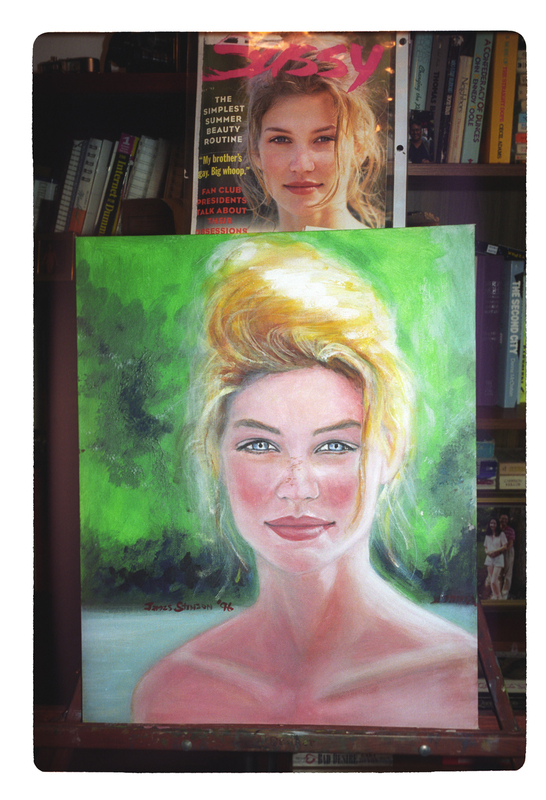 The image made such an impression I bought the magazine for 25 cents and decided that day to paint her from that photograph. Most of my portraits are of people I know, from photos I take to myself to get the best image for painting, but this one caught me by surprise. Thank you for your kind comment!